Look at those hollow eyes, this mouse knows how to dispose of a body. With the new year, I'm bringing a few changes to the ole' Human Echoes experience. One of such features will be the addition of Weird Wednesdays, which highlight the strange, horrific, and sometimes insane news stories from around the world. With that said, here is the first feature. I'm not going to beat around the bush with this, I am a frequent patron of Pepsi's life giving (and life taking) chemical smorgasbord known as Mountain Dew. I imbibe their potions like a fat, staminaless warrior in Skyrim (and you thought the potions were green for no reason). With all this in mind, I was more than a little put off by a story of a man finding a dead mouse in a Mountain Dew can. 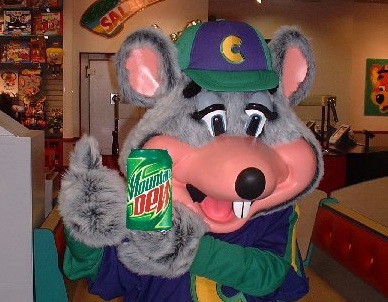 Allegedly, a Wisconsin man opened the can, expecting a rush of that heavenly caffeine laden mana, but was greeted with a dead mouse. After heaving the contents of his soul into the toilet for some period, he collected the evidence and sent it to Pepsi for investigation. This is where it gets interesting. Pepsi's response wasn't an apology, or an out of court settlement, it was a scientific rebuttal. One that states that had a mouse been put in a can with mountain dew, it would simply dissolve, and turn into a jelly like substance. Essentially, they are admitting that you could use Mountain Dew to dissolve a body, and other than being a little flat, it would not be indistinguishable from normal Mountain Dew. Well, that and it would be a little closer to Bill Cosby's favorite pseudo desert product. I thought it only gave diabeetus and heart disease. Please excuse me while I dump the rest of the soda in my house down the drain. As always, hit me up in the comments if you have a strange story you would like covered, or comments on this one. I'd love to hear from you.